Robert Pattinson. . HD Wallpaper and background images in the Robert Pattinson club. This is MISTER MCSTEAMY in the flesh.OH what the heck !MISTER MCDREAMY as well!!!! God dangit i wish i was older and was his lover HES HOT!!!!!!!!!!!!! omg.... guess what rob fans pass the word i have heard the recording myself robert is so so talking to this bimbo from tennessee there is phone recordings with them talking about meeting up!!!! is the world comeing to a end or what her name is like sylvia are something crazy.. someone please do more seach and tell me what in the hell is realy going on and there is suppose to be a pic of them on the internet but i can't find it!!!! red is working for my man! Luv_Rob_4ever said:red is working for my man! awwwww........i'm gonna....dont know wat to say.........but he is damnnnn hottt........luv u robert..!! soooooo Freackingg HOTT!!!!!!!!!!! My future BOYFRIEND!!!! 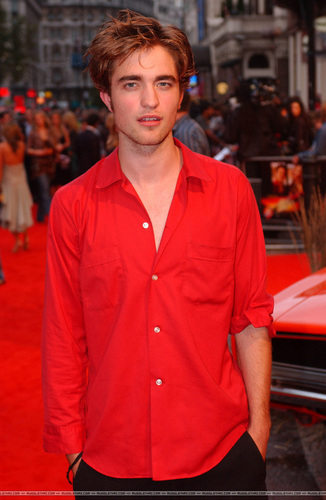 i love rob he is so hot!!!!!!!!!!!!!! !